Барааны дугаар 9780199212071. Categories: Dictionaries, OXFORD. The field of education is vitally important but it involves a specialized vocabulary and terminology which may be unfamiliar to those new to the discipline. 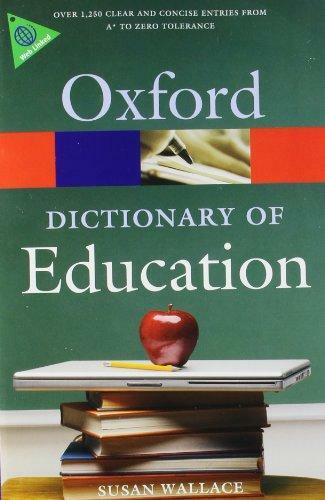 The new Dictionary of Education provides clear and concise definitions for 1,250 terms that anyone studying education or involved in teaching is likely to encounter. Coverage includes all sectors of education: pre-school, primary, secondary, further and higher education, special needs, adult and continuing education, and work-based learning. It also includes major legislation, key figures and organizations, and national curriculum and assessment terminology. The dictionary features entry-level web links, accessible and kept up to date via the Dictionary of Education companion website. Detailed appendices include a timeline summary of landmark educational legislation since 1945 and a glossary of acronyms. In addition, there is a useful, fully cross-referenced section of comparative terms used in the US, the UK, Canada, Australia, and South Africa. This up-to-date and authoritative dictionary is essential for all students of education and teachers at every level, and it is strongly recommended for classroom assistants and parents.